"Ombudsman" is a Norwegian word for a person who acts as a citizen representative. In modern society, an ombudsman is a third party that acts to investigate and resolve complaints involving residents of long-term care facilities. Long-term care facilities include nursing homes, group homes and assisted living communities. Provide information to the public about long-term care facilities. The Ombudsman is an advocate whose goal is to promote the highest possible quality of life for residents. The Maryland Long-Term Care Ombudsman Program helps residents in long-term care facilities maintain their legal rights, control their care, and retain their personal dignity. Should I ask for an Ombudsman's help? What does the Ombudsman Program do for Long Term Care Residents? Help to implement your legal rights. Attempt to resolve complaints made by or on behalf of long term care residents. Provide assistance and support to residents until disputes are resolved. Provide information and referral services regarding long term care issues. Advocate for improvement in long term care legislation and policy. 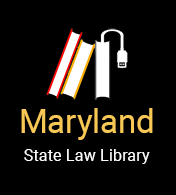 This website is sponsored by the Maryland State Bar Association. It contains information on nursing home contracts, and discusses the rights of long-term care patients when considering a long term facility or when signing a contract. It will be beneficial to those considering entering a long term facility, or friends and family of those considering a long term option. This website, hosted by the Maryland Department of Aging, provides contact information for services that may be useful to the senior citizens of Maryland. This is an excellent website if you or a friend or relative is looking for a trusted referral service for long term care facilities in Maryland. Nursing Home Alternatives discusses viable options to nursing home care. This website would be particularly valuable if you are a senior citizen and would like to explore your living options. Maryland Department of Aging and lists other agencies of interest that may be of assistance with researching or learning about senior citizens. This website will be beneficial for you to visit if you are interested in exploring the option of long term care or assisted living facilities. Placement in a long term care facility may become very expensive very quickly. However, you may not have to shoulder this financial burden alone. Publicly funded programs, including Medicare, Medical Assistance (Medicaid) and Supplemental Security Income (SSI), all have different policies regarding long-term care, and it may be to your benefit to see what assistance these organizations may provide.